A book that changed my life for a long time. The novel represents a vast expanse of the possibilities of fiction in terms of theme, style, characterization. The book represented freedom for me with epic set-pieces and a genuinely moving humanism pulsing beneath the playful and revolutionary surface post-modernism. “Ineluctable modality of the visible…signatures of all things I am here to read.” For me, since reading it many decades ago, Ulysses is and remains THE book. Yes, it’s dense and difficult and allusive, but it’s also funny and vulgar and full of life. Read this book in every one of my adult decades and got something different from it each time. 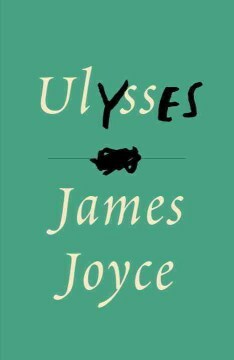 “Ulysses” isn’t a novel, it’s a life project, and like life itself, we embark upon it striving towards understanding it.